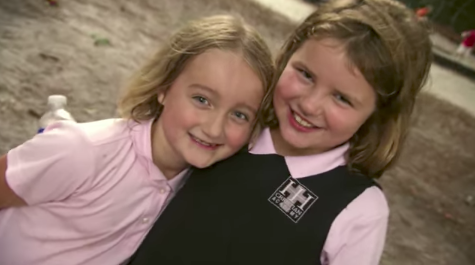 From individually tailored and rigorous curricular offerings, to extensive art, athletic, and service opportunities, there is a lot to love about an HHCA education. While these distinctives are invaluable and praiseworthy in their own right, it is our foundation in Jesus Christ that really sets our school family apart. As we seek to follow Christ and grow leaders, the faculty and staff of HHCA are committed to equipping our students with the knowledge, skills, and perseverance needed to become problem solvers and life-changers. We challenge our student to view work as worship, seeking excellence in everything they do for the glory of God. Our uniquely gifted and exceptionally trained teachers and administrators thrive on pouring their lives into the lives of our students. This highly relational approach seeks to foster the personal talents and passions of each child, illuminating the beautiful tapestry that is the body of Christ. Visitors often note, “We felt a difference as soon as we walked in the door.” We invite you to experience the HHCA difference for yourself! List of 6 frequently asked questions. Q: What does it mean to be a Christian School? We firmly believe that Christ calls us to excellence in all that we do. With that belief as a cornerstone, our definition of Christian education goes beyond constructing a set of studies…AND a “Bible” class. Christ is infused in ALL that we do. Yes, our curricular offerings are excellent. Yes, we offer an array of arts, athletics, and extra-curricular programs. Yes, we do have intentional, Bible-based instruction and weekly chapels. What sets us apart however is that each facet of HHCA is presented through the lens of a Christian world-view. The teachers at HHCA are active in their faith and display a passion for sharing their lives, nurturing their students, and pointing each toward a life-saving relationship with Jesus Christ. Q: How do I apply to HHCA? Applicants begin by completing the paperwork necessary to build a student file. Family applications, middle and upper school student applications, school records and other supporting documentation are key steps to admission. Any additional placement testing, and parent and student interviews are conducted once all necessary paperwork has been submitted. Please follow the steps to apply here, for more information. Morning and afternoon transportation is offered to off-island families for an additional fee. Q: Do HHCA students wear school uniforms? HHCA students do wear school uniforms. Uniforms are purchased from Lands' End, Tommy Hilfiger or Uniform Work and Sport. Our Parent Teacher Fellowship also coordinates a Uniform Exchange where families can buy and sell uniforms from each other. Q: What are the hours of the school day? For grades K-5 the day begins at 8:00 AM and ends at 2:45 PM, Monday - Friday. For grades 6-12, the day begins at 8:00 AM and ends at 3:00 PM, Monday - Friday. Q: Will my child be prepared to attend a selective college or university? As a college preparatory school, HHCA prepares each student to be successful at whatever college or university they may attend. With a rigorous curriculum including honors and advanced placement courses in every upper school core subject area, HHCA has high standards that are well respected around the state of South Carolina and the country. One hundred percent of our graduates are accepted to four-year colleges and universities. I can't begin to describe how much this school has blessed our family for the past thirteen years.